Since November 8, there have been hundreds – possibly thousands – of published articles about that branch of humanity famously labeled “the deplorables” by Hillary Clinton. Many of these election postmortems are clueless and/or condescending attempts to dissect and explain (to liberals) the strain of American voter that supported and continues to support Donald Trump. But some of these election analyses are insightful. 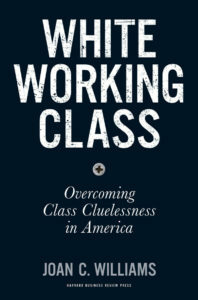 Joan Williams’s White Working Class expands on a previously published essay and it’s mostly an evenhanded, enlightening study of the social gap between the country’s “Haves” (the elite) and “Have-a-Littles” (what Williams labels the “working class”). Williams, herself a born-and-bred member of the liberal elite, occasionally slips into full-on Democrat mode (in praise of big government) and takes some unwarranted swipes at Trump (a pure racist, even when his supporters are not), but she also has the balls to lay most of the blame for our current House Divided at the hands of those who hold the most power: the elites. It’s too bad she doesn’t stick to her strong point, the first two-thirds of the book when she concentrates on the evolution of class division. 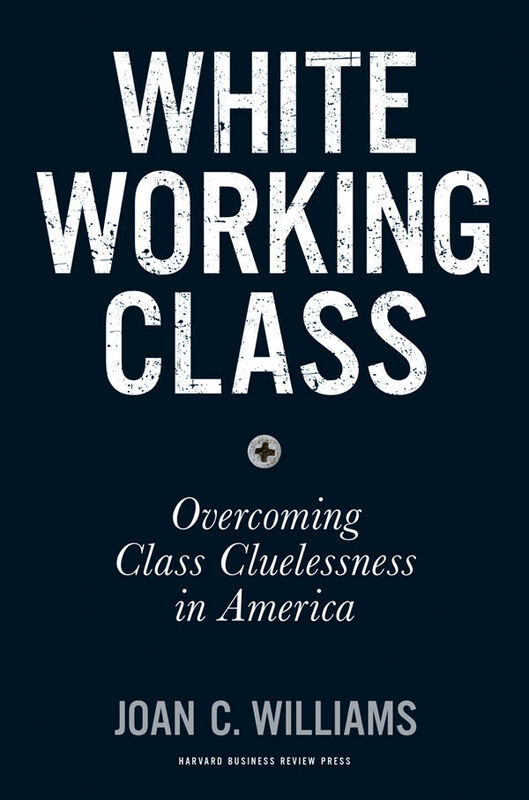 Toward the end of White Working Class, Williams cannot resist tackling a host of other societal ills: abortion, race relations, illegal immigration, etc., and allows her inner liberal to promote the usual progressive remedies. It’s almost as if, after hammering liberals on their class cluelessness, Williams felt the need to soften the blow.